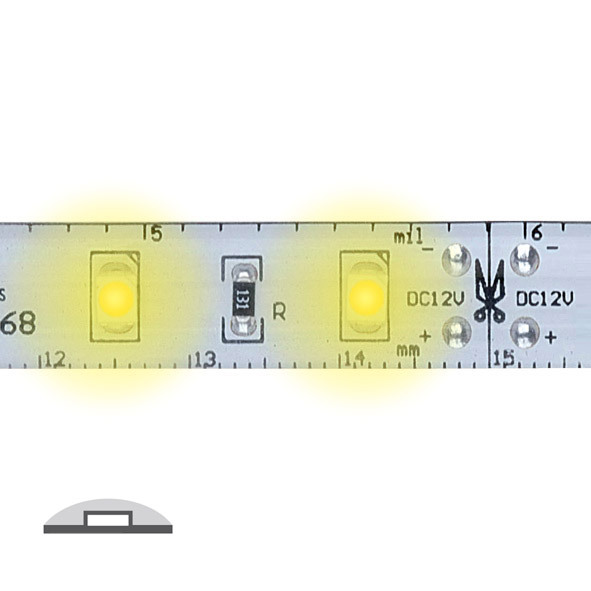 Linear lighting with monochromatic LEDs. Can be cut at predefined distance: 25mm. 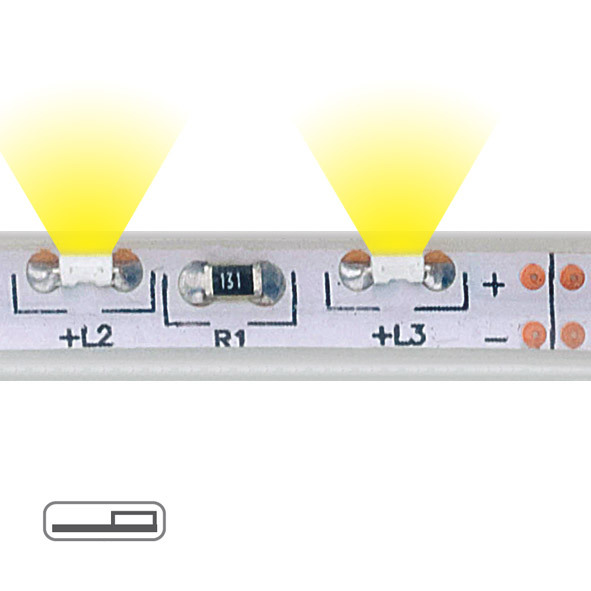 The uncut strips (integral length) ensure a degree of protection of IP65; the circuit ends are provided with IP20 ending connectors, therefore the installer is responsible for completing the insulation operations. 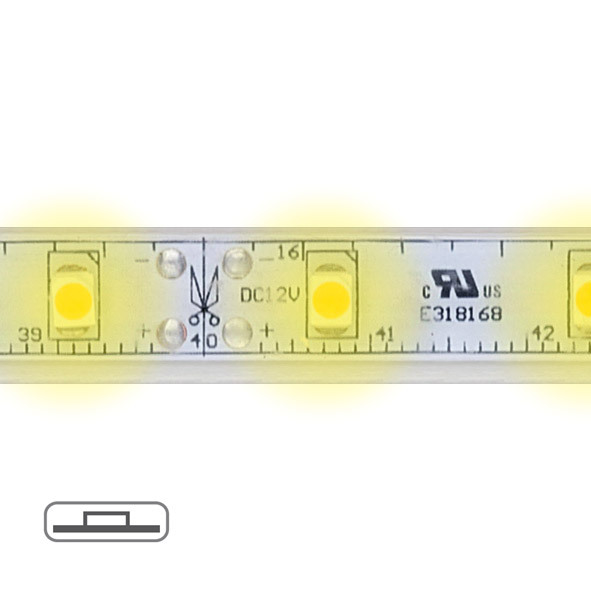 The colour temperature values of white LEDs are indicative and subject to changes.